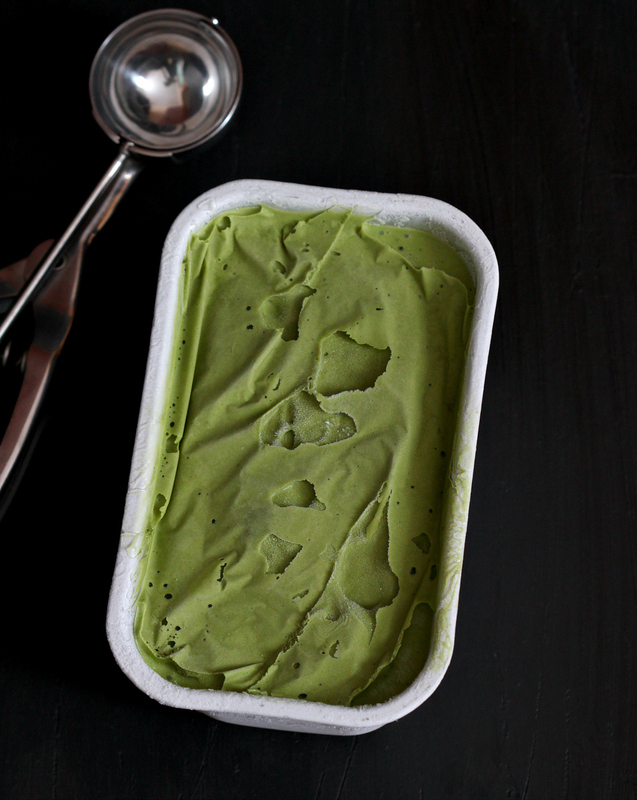 my bare cupboard: Matcha ice cream "
I don't enjoy summer as much as the colder months but warmer temperature makes life a bit easier , like making bread for example , you don't have to wait for several hours when proofing and homemade ice cream , of course ! This is a custard-based ice cream , milk , egg yolks , sugar and matcha powder is cooked slowly until it thickens , cooled , whipped cream is added then churn in an ice cream maker . You can serve it right away after churning , it looks and tastes just like a soft serve ice cream . Unlike most ice cream recipe out there , this one has more milk than cream . Note that the recipe below only makes about 480 ml or 1 pint , if you want to double it , use 5 yolks . 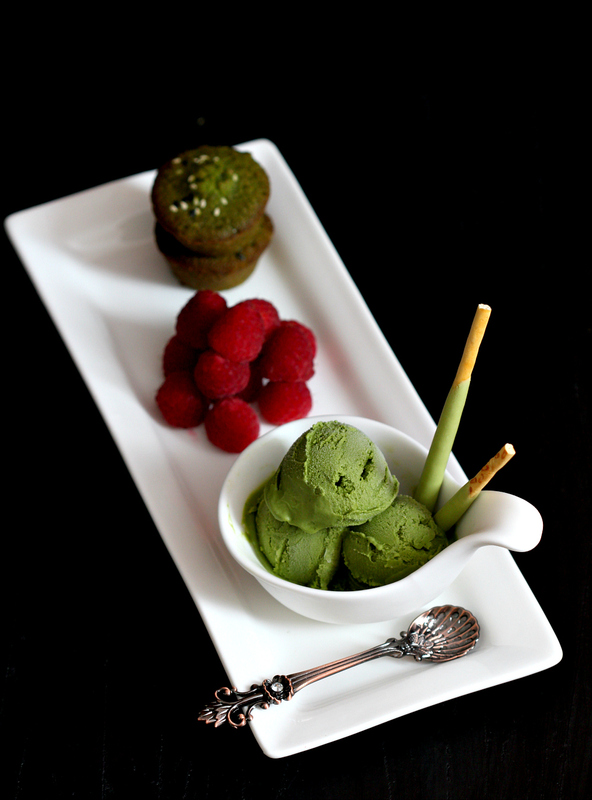 It's my smoothest , creamiest homemade ice cream yet with a delighful matcha taste . * Heat milk in a small saucepan almost to the boiling point then remove from heat and set aside . * In a mixing bowl , beat or whisk egg yolks and sugar until pale yellow in color , add in matcha powder and mix well . * Transfer custard into a mixing bowl , place bowl in a larger bowl half-filled with ice water to cool . * In a chilled bowl , whip cream until stiff peaks form . Add whipped cream to the cooled custard and fold through . Transfer mixture to an ice cream maker and churn for 20-30 minutes . * Serve immediately , if desired or transfer to a freezer-proof container and freeze for 4 hours . Ice cream is easily scoopable straight from the freezer . Oh I cannot decide whether I like summer or winter more. One is too hot while the other is too cold.. heh. 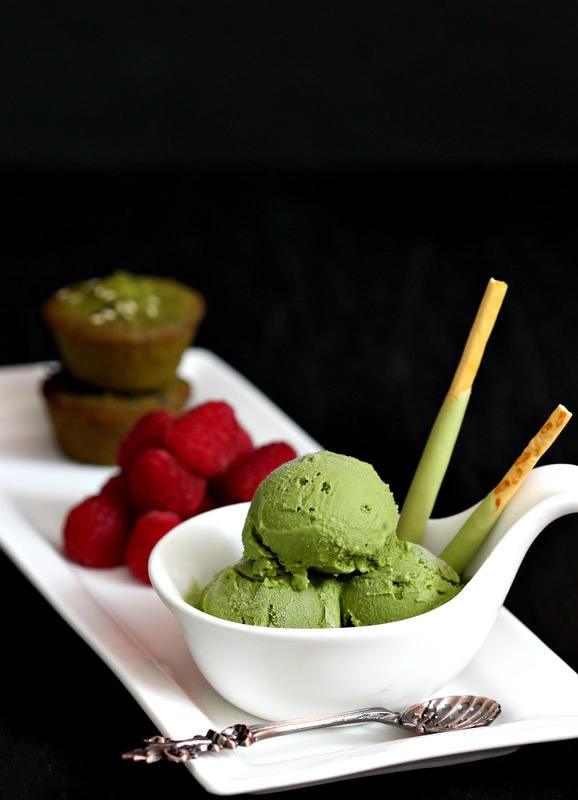 Your matcha ice cream looks absolutely creamy and delicious, time to take out my ice cream machine! Ooh... matcha ice cream! Looks divine! I love matcha ice cream! This would not last long in my house! So creamy! Definitely a must make during the summer time.